Offering players and coaches a transparent, engaging and supportive club. The primary mission of the Ancaster Blitz Basketball Club is to promote and continue the development of young players as it relates to the fundamentals of basketball, sportsmanship and athletic competition in accordance with their individual ability and aspirations, with the goal of developing the players on the basketball court today into the leaders of our local communities tomorrow. BLITZ 2019 SPRING PROGRAMS NOW OPEN FOR REGISTRATION! NEW NIGHT FOR HOUSE LEAGUE PROGRAM ADDED! To be placed on our waiting list for Tuesday or Wednesday nights please send in the Registration Form ONLY - do NOT send payment until we have contacted you about an opening. Thank you. durIng 2017-2018 Season, BLITZ BASKETBALL DONATED $850 TO OUR 13 PARTNER SCHOOLS TO BE USED AS GRAD AWARDS/MVPs FOR DESERVING STUDENTS as well as free entries to our camps and house league to deserving players as chosen by their schools. THE BLITZ ALSO DONATED ANOTHER $1200 TO LOCAL SCHOOL PROGRAMS SUCH AS BEST BUDDIES, cancer assistance, FOOD DRIVES AND OTHER SCHOOL/COMMUNITY NEEDS. LOOKING FOR A FUN ACTIVITY THAT WILL KEEP KIDS ACTIVE & HAVING FUN? Epic Dodgeball Action For Kids. 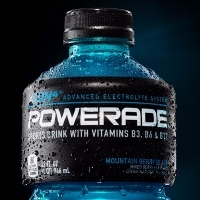 THANK YOU TO THE POWERADE BRAND TEAM AND MONSTER ENERGY FOR ONCE AGAIN DONATING A MICROTECH TOWEL AND SQUEEZE GRIP WATER BOTTLE TO EVERY BLITZ PLAYER IN OUR ORGANIZATION! THANKS TO COACH LESLIE FOR OVERSEEING THIS. Let us keep you posted on Blitz Basketball Club News, Announcements, Camps and Clinics.